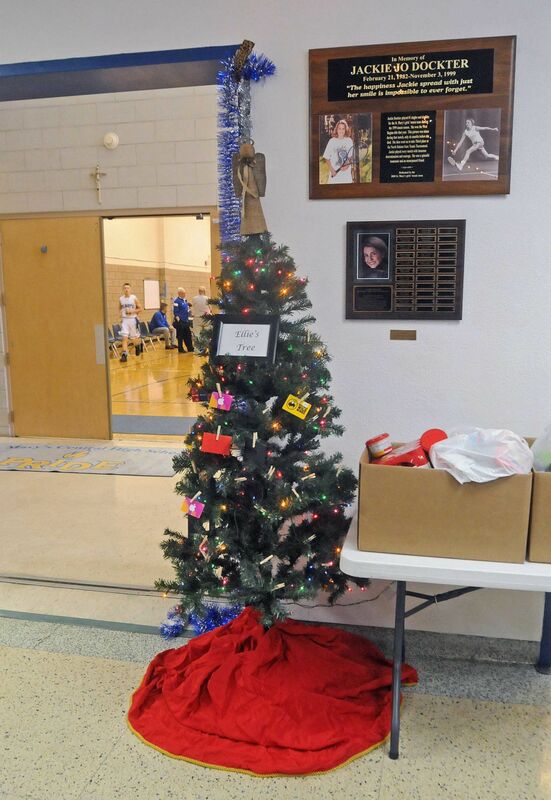 A Christmas tree that is designated Ellie's Tree has been set up in the entry of St. Mary's Central High School. St. Mary's Central High senior Spencer Kraft has been close friends with Elianna Vazquez since both were third graders at Christ the King Grade School in Mandan. Elianna Vazquez, 17, was injured in a house explosion north of Mandan early Wednesday. Clyde and Elizabeth Howe, both killed in a house explosion north of Mandan early Wednesday, were married four years ago. Two technicians from the North Dakota Bureau of Criminal Investigation photograph the scene of a house explosion north of Mandan on Wednesday morning. A teenage girl injured in a house explosion north of Mandan early Wednesday has undergone back surgery and is in stable condition, and family, friends and teachers say she is hopeful after the tragedy. Elianna Vazquez, a 17-year-old senior at St. Mary's Central High School, will remain in a Bismarck hospital for at least 10 days, and later she will undergo considerable physical therapy, said her sister Gina Vazquez, 29. She is conscious and talking, and she recently mentioned worries about a college algebra class. Gina Vazquez reported her sister had screws placed in her back, which was broken during the blast that killed her mother Elizabeth Howe, 58, and her stepfather, Clyde Howe, 60. Elizabeth Howe, who died on scene, was a nurse and mom to three children ages 29, 26 and 17. Clyde Howe, who died at a local hospital, was an instrument technician for Minnkota Power Cooperative and a dad to three children ages 35, 34, and 28. The Morton County Sheriff's Department said Thursday the explosion was accidental, but the exact cause is still under investigation. Spokeswoman Maxine Herr said it was likely the result of a propane leak, but it is not clear yet how it happened. The department has called in a propane expert, she said. On Thursday morning, Gina Vazquez and other family members hunted through debris left by the explosion, which threw chunks of the building and the family's possessions around a 100-foot radius. They sought out valuables, important documents and photographs. Elianna Vazquez and her 26-year-old brother, who was also living at the Howes, lost nearly all of their possessions, Gina Vazquez said. The family's three dogs — Remy, Beans and Norma — were found dead in the rubble, according to Eric Howe, son of Clyde Howe. "We’re finding some stuff. We were very lucky in that there wasn’t really a fire," Gina Vazquez said. "Everything is just everywhere." Elianna Vazquez, known as Ellie to friends, is the kind of girl who will laugh to make someone else feel comfortable, drive because she knows someone is scared and encourage a friend to go the extra mile, her classmate Spencer Kraft said Thursday afternoon. She loves to exercise and sing and is more than liable to strike up a conversation with a stranger, Kraft said. "Her mom definitely raised her to be a strong, independent, take care of herself kind of person," said Kraft, who has been close friends with her since the third grade. Kraft said the now-destroyed house, where she spent countless nights, was beloved by the Howes, who designed the place for themselves a few years ago. She and Elianna Vazquez would often sit and talk at the kitchen counter while the parents cooked dinner. Elianna Vazquez was close to her stepfather, as well, she noted. Though she said it's "hard to see people that you know for so long go through anything like this," she's confident in the strength of the family. "If it had to be anyone, they're the people who'd pull through it," Kraft said. Principal Reed Ruggles announced the news to the high school Wednesday morning, and it hit the close community right in the middle of class. Elianna Vazquez is a low alto in the school choir, and the news came during rehearsal for next week's concert, Choir Director Vicky Boechler said. She said the students looked first toward the injured student's empty chair then to her as the teacher. "Nothing I say is going to be right," she recognized immediately. So she suggested the choir squeeze into the small chapel, where they kneeled silently before an all-school assembly where students together prayed the rosary. During the day Wednesday, the Rev. Jared Johnson, chaplain at the high school, visited Elianna Vazquez at the hospital and anointed her. Ruggles said the prayer service, led by Johnson, helped students collect themselves, and soon many sprung into action. A group of senior girls set up a GoFundMe account, which already has raised more than $34,000 for her medical and essential expenses. A Christmas tree, known as "Ellie's Tree," has been set up in the school lobby, and people have donated goods and gift cards for her. Kraft said she was planning to visit the hospital on Thursday afternoon, and nearly the entire senior class wanted to visit, too. "It's a family here, and when one family member is down and out, the whole school is affected," Ruggles said. Boechler visited Elianna Vazquez in the hospital Wednesday and said she was in a hopeful mood and already thinking ahead. For example, she requested a special tube be used in her throat during surgery so as to preserve her vocal chords for singing in the future. 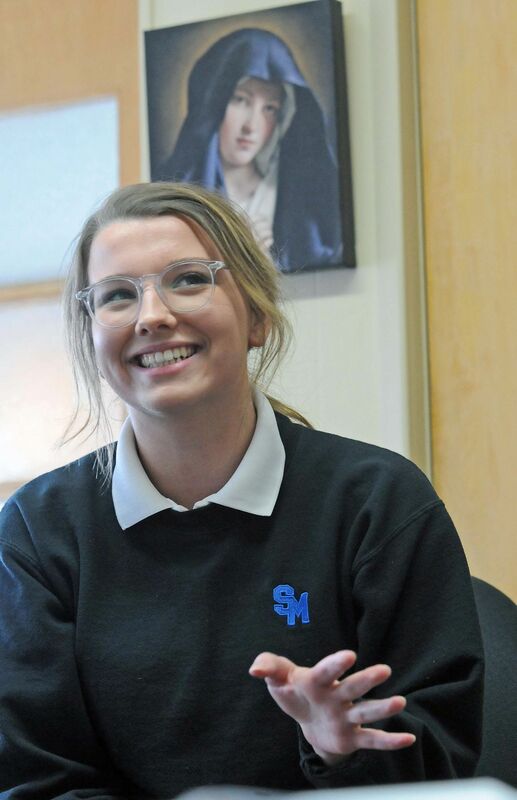 "Her faith is so strong," Boechler said. "She has beautiful hope." Funeral arrangements have not yet been made for Clyde and Elizabeth Howe. Light of Christ Schools has established a fund for Elianna Vazquez's current and future needs, called the "Elianna Vazquez Trust" at Kirkwood Bank & Trust. Anyone interested in helping the family can drop off money at the school or contact the bank at 701-355-5370. Donations can also be mailed to 2911 N. 14th St., Suite 201, Bismarck, ND 58503 or dropped off at any Kirkwood Bank & Trust location. A GoFundMe account also has been started for Elianna Vazquez at www.gofundme.com/elianas-medicalessentials-fund. Authorities say a home explosion north of Mandan may have been caused by a leaky propane tank and a lawyer specializing in propane explosions said it can be difficult to detect in advance. "People always assume they’re going to be warned, but they’re not. They get a false sense of security," said Greg McEwen, a Minnesota personal injury lawyer. McEwen said propane explosions occur when the gas seeps out of a leak in the line coming into the house, a crack in the line to an appliance or a faulty regulator. Because the highly flammable gas is heavier than air, it sits near the ground and can explode if sparked by something like a pilot light on a water heater. The gas is odored, but sometimes the smell fades or the gas leaks in the middle of the night and fails to wake anyone in the house, McEwen said. It is not clear in this case whether there were indicators, though Maxine Herr, spokeswoman for the Morton County Sheriff's Department, said Wednesday that a son of the homeowner may have detected a "sewer smell" prior to the explosion. McEwen said a powerful blast without any fire — like this one — is indicative of a propane explosion. People typically use propane to heat their homes because they are located far from a natural gas line, he said. He recommends that anyone using propane for heat buy a gas detector, which, similar to a carbon monoxide or smoke detector, will go off in case of a leak.